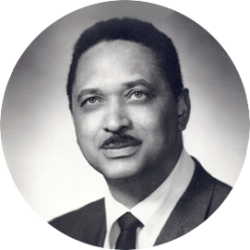 Recognizing that job opportunities for African-Americans were extremely limited, Dr. Leon H. Sullivan appeals to Philadelphia’s largest businesses to interview young blacks for jobs. 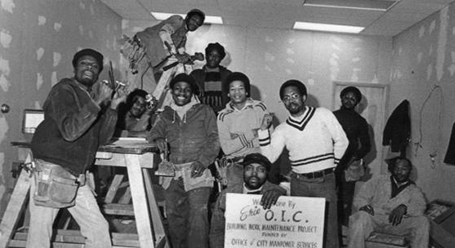 Working out of an abandoned jailhouse in north Philadelphia, Dr. Sullivan founded the first OIC training center to provide employment training and retraining in impoverished communities. OIC receives national recognition and begins to expand, establishing centers in eight additional cities. 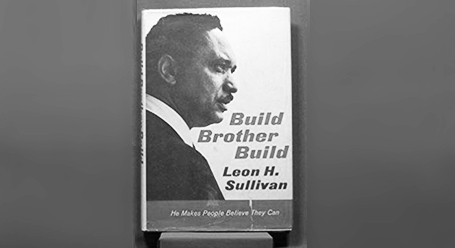 Dr. Sullivan publishes “Build Brother Build,“ his seminal work that details the philosophy, birth and development of the OIC model. OIC of America, Inc. is established to serve as the national headquarters to OIC Affiliates and provide technical assistance to communities replicating the OIC model. OIC received $32,600,000 from the Department of Labor to serve as “a prime national contractor” for manpower services throughout the U.S. for more than a decade. 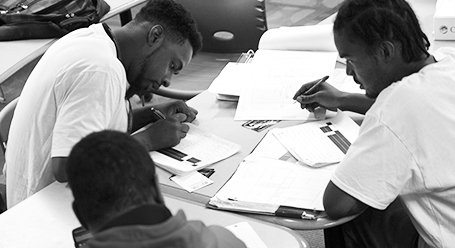 OICA develops the Quantum Opportunity Program (QOP), a multi-year, intensive case management and mentoring program for high school youth. 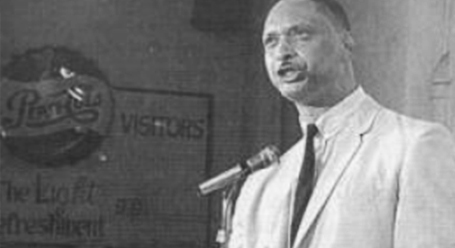 The program is rigorously evaluated and eventually adapted by the Eisenhower Foundation for widespread dissemination. 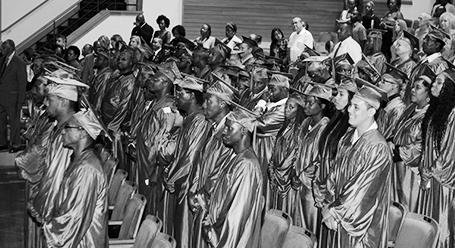 OIC has trained more than 3 million people, and placed more than 2.5 million in jobs, with its alumni collectively earning $80 billion a year (L.H. 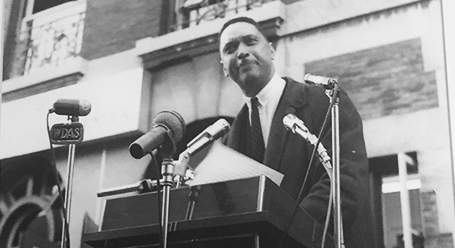 Sullivan, Moving Mountains, Judson Press, 1998). Leveraging $12.8 million in US Department of Labor grants through the American Recovery and Reinvestment Act , OICA launched programs in 7 cities to prepare workers for high-demand “green” careers. 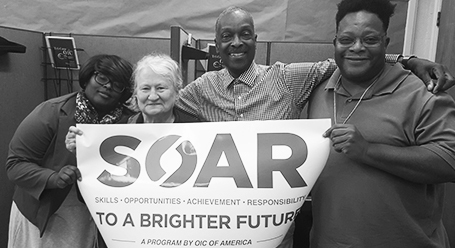 OICA launches national re-entry initiative (SOAR) to provide returning citizens vocational training, work readiness and education to help reduce recidivism, funded by 2 grants from the Dept. 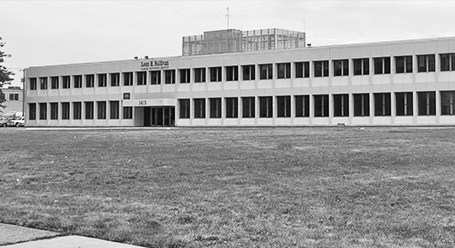 of Labor totaling $9 million. 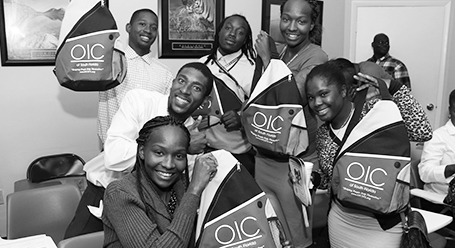 OIC of Wilson, Inc. is a non-profit community- based organization that has been meeting the needs of the economically disadvantaged individuals throughout the community. 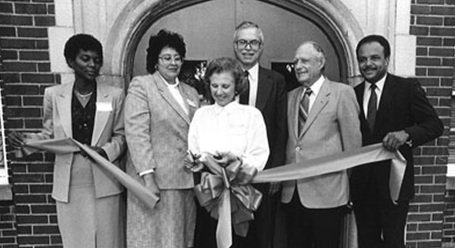 Stay up to date on Wilson OIC programs, services and events. © . Wilson OIC, Inc. Website by LoveArts.